The Skinny: Existential drama has the feel of an independent art film, but the apparent depth of a low-budget student film. 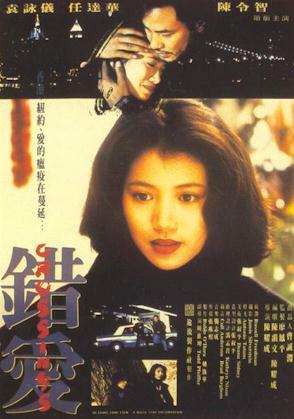 Anita Yuen is Mo-Yung, a young HK woman who travels to New York, carrying a mysterious package for her photographer boyfriend Benny (Simon Yam). At first she can’t find him or old friend Carmen, but she befriends Rubie (Lindsay Chan), a white girl who speaks Cantonese. Together, they begin to uncover the truth: Benny is a drug dealer and the package is snortable. Also, New York isn’t too friendly, as evidenced by the deranged school teacher (Ted Brunetti) who stalks Rubie, cursing women and transvestites. What he’s doing in the picture is a puzzle until the final minutes when his mystifying subplot collides with Mo-Yung and Benny’s, and then the film thinks it’s done something profound.